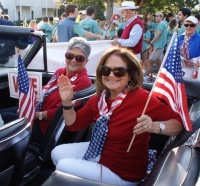 Join Us for LWV-VA Biennial Convention! I am excited to tell you about the 39th LWV-VA Convention at the Norfolk Waterside Marriott on May 17-19. We think this will be both an informative and fun session! The location is close and easy to access so you can come for the full Convention or take advantage of the single-day registration. The League of South Hampton Roads is the host League and has planned activities on Friday evening … a “Dine Around” to take advantage of Norfolk’s fine restaurants or a water ferry to those in Olde Towne Portsmouth. You can register early, beginning at 5:00 pm Friday, May 17, and join the fun. Saturday morning’s plenary session will be League business, primarily reports. Voting will take place during the Sunday morning plenary. Diversity and Inclusion are major considerations for all levels of the League – National, State, and Local. Saturday’s lunch speaker on Diversity is Christy S. Coleman, a Williamsburg native with extraordinary accomplishments. Named by Time as “One of 31 People Changing the South,” she is the CEO of Richmond’s American Civil War Museum, which encompasses several historic sites. Previously, she was President/CEO of the Charles H. Wright Museum of African American History in Detroit and Director of Historic Programs for Colonial Williamsburg. Let Mary Schilling know of your interest in attending soon. We have some truly informative breakout sessions planned for Saturday afternoon. Speakers include Jim Spore, 30+ year Virginia Beach City Manager talking about Infrastructure, Innovation, Transportation issues. 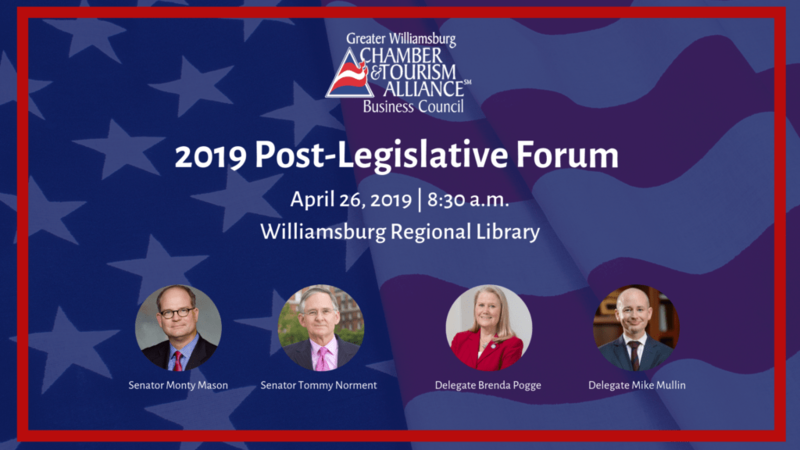 Others include Skip Stiles, Executive Director of Wetlands Watch on “What about This Weather?”; Walt Latham, York County Director of Elections/General Registrar and President of the Voter Registrars Association of Virginia; and W&M Law Professor Rebecca Green on Redistricting Reform. Before our Sunday a.m. plenary session, Ron Carlee will speak on “Defending Democracy on All Levels.” A professor at Old Dominium University, Dr. Carlee, past Arlington, VA County Manager and Charlotte, NC City Manager, is a global presenter for the International City Managers Association (ICMA). Although Convention adjourns at noon Sunday, the South Hampton Roads League has scheduled a “bonus session” for the afternoon focused on THE ENVIRONMENT. It includes knowledgeable speakers on a topic relevant for us all, including combating rising sea levels. LWV-WA can send eleven voting delegates, but absolutely every member is welcome to attend as observers and participate in every way except voting … it is an opportunity to learn, meet others from around the Commonwealth, and also … have fun! I hope many of you will choose to participate as observers. Yes, it was a “wild” General Assembly session, as one newspaper headline stated. All sorts of unanticipated drama involving constitutional officers, but the legislative process continued with the LWV-VA and others in attendance. Observers could see during floor sessions some differences in the House and Senate culture, protocol and decorum, including somedebate obstruction. “Will the Gentleman yield?” “No, I will not yield.” Each side of House attempted to “hijack the rules.” Frequent Point of Personal Privilege (PPP) statements were very “pointed” from both sides on various bills including those regarding firearms in churches, ERA ratification, limiting the power of the Governor, changes to long-standing Rules, teaching Bible literature in the schools, and even on which June Tuesday to have the Primary elections. The House, with many subcommittees, affects the disposition of bills differently than the Senate. The House subcommittees have been described as “powerful gatekeepers” because a successful bill in the full Senate will fail in a House subcommittee that has only seven members. • No-excuse absentee voting, though only for seven days. • Absentee polling places will stay open properly for voters who are in line at 7pm. • Preventing split precincts and establishing proper boundary lines advanced. • Yet to be determined is whether or not voters will be considered “provisional” while waiting for verification of Social Security numbers. • Improved ballot order to list candidates before the ballot questions will ensure that voters see the candidates first. • Recount procedures for tied elections were clarified. • Ranked choice voting in local elections. Environmental bills that passed included one on coal ash mitigation. Legislators prohibited any carbon dioxide cap-and-trade efforts by the Governor or a state agency. Regarding firearm safety, legislators rejected a “red flag” bill or Extreme Risk Protective Order (ERPO) and a bill related to allowing firearms in churches. One successful opioid-related bill expanded who can possess and administer naloxone or other opioid antagonist, after completing training. Below are articles relating on the successful passage of a bipartisan commission on redistricting and inaction on the ERA. The redistricting bill, aimed at limiting gerrymandering, needs additional steps to be added as an amendment to the Constitution. 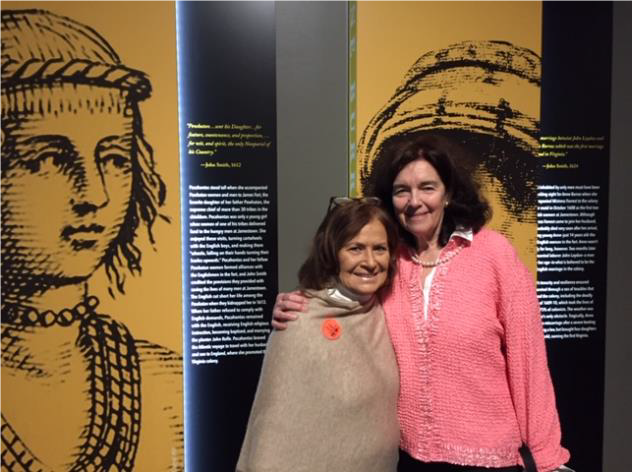 The April 2019 newsletter is here, & we’ve been busy! While it’s easy to get discouraged these days, there have been some positive signs of responsible engagement in the challenging issues of the day. Our League consistently was well represented at the weekly Women’s Legislative Roundtables during General Assembly. Each week also included opportunities to meet with our Delegates and Senators to advocate on legislation on which the we have League positions. Don Shilling (left) and Mary Schilling & Bobbi Falquet (right) welcome former ambassadors Nancy Ely- Raphel and Thomas Pickering to Great Decisions on March 4. Career Ambassador Pickering, our speaker, served more than four decades as U.S. ambassador. His partner Ely-Raphael served as ambassador to Slovenia. The February/March Great Decisions lecture series was a huge success with outstanding speakers addressing eight of the thorniest and most critical issues in current foreign affairs. With approximately 270 in attendance each Tuesday morning, the signature program helps us reach out to the broader Williamsburg community. William & Mary’s Students Demand Action group planned a full week of programs and events on gun violence prevention, culminating in a March to End Gun Violence at the Colonial Capitol Building on DoG Street on Saturday, March 23. The featured speaker at the rally was Rep. Elaine Luria, representing Virginia’s 2nd Congressional district. 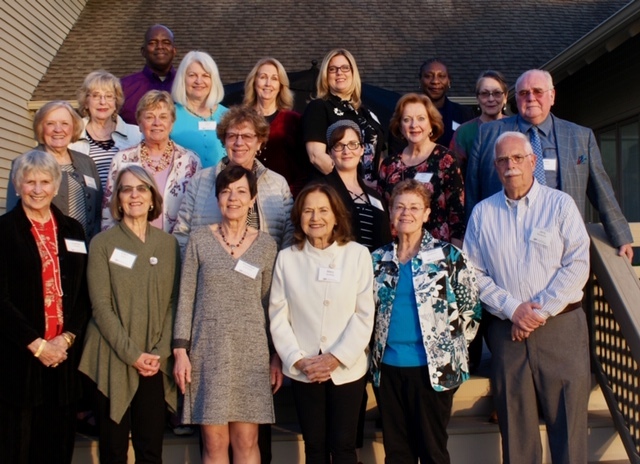 Our League Advocacy and Action program committee members have been hard at work examining Election Integrity issues and exploring initiatives in Civics Education in the public schools. As part of the Gun Violence Prevention initiative, Christine Payne has invited Lori Haas, Virginia Director of the Coalition to Stop Gun Violence to speak on Monday, May 13 at 7 pm at Stryker Building. I urge you and interested friends to attend. While these programs and events may seem modest, this is what democracy looks like. We are excited about the upcoming LWVVA Biennial Convention in Norfolk, May 17- 19. Our thanks to Anne Smith, vice president for programs on the State Board and a member of our own Board, for her masterful job in developing a substantive convention program. The speakers’ and session topics are timely: Diversity, Equity, and Inclusion; Election Security and Integrity; Redistricting; Defending Democracy; Women’s Issues-Sexual Harassment. While these programs and events may seem modest, this is what democracy looks like. Remember, “we are the ones we’ve been waiting for.” You can make a difference. 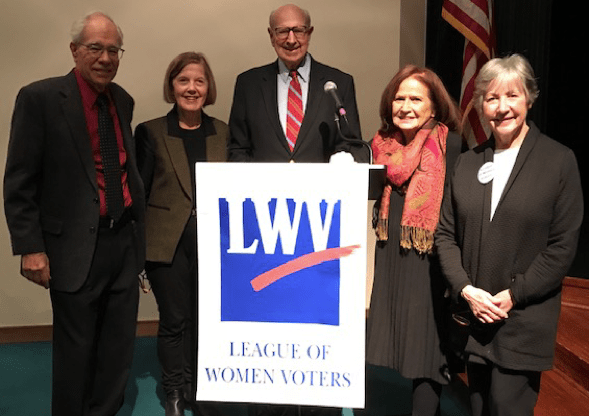 LWV-VA League Day at the General Assembly is Wednesday, February 6, 2019. We will attend the Women’s Legislative Round Table (WLRT) from 8:30-9:30 a.m. After WLRT, members will visit the offices of key Senators and Delegates to advocate for legislative action. Williamsburg Leaguers will gather at the Capitol to be seated together in the Senate or House Galleries for the noon recognition ceremonies. It’s a thrill to be introduced and recognized by Lt. Governor Fairfax in the Senate or House Speaker Cox – and we hope to have a good-sized crowd present. Lunch and networking with other League members follows. An Italian buffet lunch will be served at the nearby Berkeley Hotel. Luncheon pre-registration is required by February 1. To register for the lunch, go here. League Day is a special extension of the weekly League Women's Roundtable events on Wednesdays during the General Assembly session. League Day is a special extension of the weekly League Women’s Roundtable events on Wednesdays during the General Assembly session. 8:30-9:30am Women’s Legislative Roundtable (WLRT) on the first floor of the SunTrust building in the Tilghman room. 9:30-11am Visit your legislators or their staff. 11am Lineup to enter the gallery of either the House or the Senate. We will be recognized on the floor of both chambers. 12:30-3pm Italian Feast Buffet at the Berkeley, 1200 E. Cary St., Richmond, VA; pre-registration is required; register here. 1pm Tim Cywinski will explain how to effectively engage with legislators so that we’re heard and how to engage young people in our efforts: what are their issues, what role will they play in VA’s 2019 and 2020 elections. You can read Tim’s advocacy manual here. Link to map for parking lots in downtown Richmond here. See the entire Voter here. registration and securing our speakers. advocate for specific upcoming bills. critical medical issues in our community. across both Democratic and Republican districts. year. There’s important work ahead! Our votes affect health care policies, but what information are we missing to make solid decisions? The Virginia General Assembly just last year accepted the expanded Medicaid coverage offered by the Affordable Care Act; what is happening in our area to prepare for implementation, and how will this affect recipients of Medicaid and health care providers in our area? Come learn from an experienced panel of health care practitioners. This event is on January 24, 2019, 7pm at the Williamsburg Library Theater.